Of course you do. I’m very sorry. Tom: She loved him very much. Robert: And the price of great love is great misery when one of you dies. Robert: Of course you do. I’m very sorry. 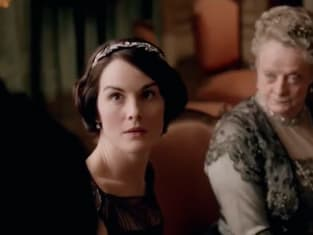 Downton Abbey Season 4 Episode 1: "401"
Permalink: Of course you do. I’m very sorry. But bein’ a nanny. You’re not one of the family, but you’re not one of us either. Permalink: But bein’ a nanny. You’re not one of the family, but you’re not one of us either.